Originally developed as a multi-range blind rivet, the GESIPA® PolyGrip® has gained a series of additional features that have made it a favourite when it comes to difficult and demanding applications in industrial environments. 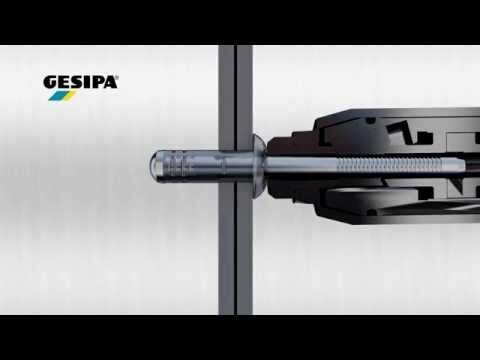 Whether they’re made from aluminium, steel or stainless steel, fitted indoors or outdoors, with hard or soft material to be joined, and even when critical hole diameters and tolerances apply – when everything else fails to make the grade, the GESIPA® PolyGrip® is almost always the perfect solution. A PolyGrip® blind rivet has such a large clamping area that it can serve as a replacement for up to five different sizes of DIN standard blind rivets. Another advantage is its excellent bearing stress. This means that, since the rivet shank is deformed radially while the rivet is being installed, you can compensate for borehole inaccuracies, centre offset and differences in diameter, thus allowing you to create a tight connection with zero clearance. PolyGrip® blind rivets have a secure spent-mandrel locking feature to prevent rattling of loose mandrels and to eliminate the risk of mandrels being lost. The PolyGrip® blind rivets are also splash-proof under certain conditions. Thanks to their good bearing-stress properties and spent-mandrel locking, they are an economical alternative to closed blind rivets. PolyGrip® blind rivets are an ideal choice for preventing the ingress of water through the connection. And because they form a wide closing head when installed, a high degree of tensile strength and thus security is ensured.